Introducing: The New Photo Uploader! (Massively) Increased Photo Upload Limit: Your photo gallery can now display up to 100 pictures. With the increased number, you’ll be able to better illustrate your skills and services to clients. Don't be shy, show off! Faster Upload Process: Multiple photos can now be uploaded all at once! Simply select up to 100 JPEG, GIF, BMP, TIFF or PNG files smaller than 10MB in size. Editing Capabilities: Upon uploading your photo, you'll now have the option to rotate the image. You'll also be able to crop images for your Profile Thumbnail/Search Results and Profile Cover Photos, as well as edit the thumbnail images that appear in your Photo Gallery. Captions: You can now add a description to your images! Captions, if you choose to add them, will be displayed underneath the pictures in your Photo Gallery. They're a great way to give clients a better idea of the images they're viewing. Display Order: Want to make your most recent upload the first picture clients see? You can now easily reorder pictures in your Photo Gallery with the new dropdown menu, located to the left of each image. So, how do you use all of these awesome new functions? Let's get started! After adding a Profile Thumbnail/Search Results Photo or Profile Cover Photo, you'll see a screen similar to the one above (minus the classical music humor). 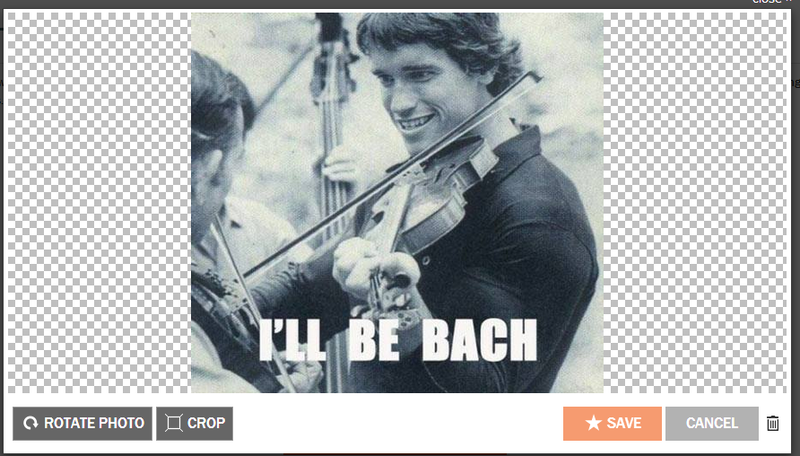 For the Profile Thumbnail/Search Results Photo, selecting the "crop" button will create a pre-set aspect ratio. You can align the box over the area of your photo you wish to be displayed. Doing so will eliminate any black bars that would have normally appeared around the original, non-square image. You can also create a thumbnail for the Profile Cover Photo by following the same steps as above. The selected thumbnail area will then be stretched to fill the entire photo space. Stretching the selection may cause it to appear pixelated, so we still recommend that you try and upload a 1200 x 238 image for this display. You now have the ability to edit the appearance of images as they are displayed in your Photo Gallery. After adding an image to your gallery, a screen similar to above will appear. 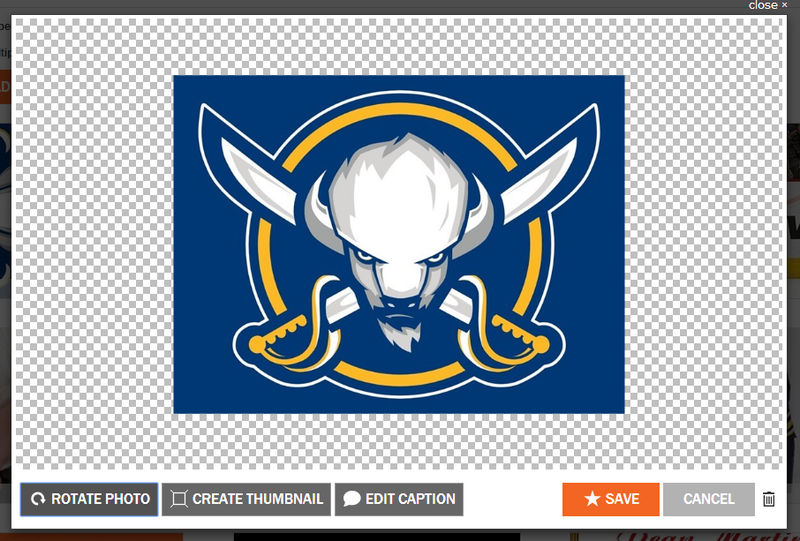 Clicking the "create thumbnail" button will allow you to select what part of the image is displayed in the Gallery view. When clicking on the individual photo, clients will still be brought to the full-sized image. When you select a photo in your gallery, you will also see the “Edit Caption” button. Simply click it to add a description to your images! Writer’s block? We recommend adding the date, the type of event, or a description of the music/character/magic trick/etc. that is being pictured. While your pictures are worth a thousand words, we ask that you limit the captions to 35 characters or less. As always, personal contact information or unfriendly language won’t be permitted. When it comes to your services as a vendor, these new updates will really help clients to see the "big picture!" If you need any assistance using the new photo uploader functions, our Account Specialists are happy to help! Call (866) 342-9794, or send an email briefly describing your inquiry to info@gigmasters.com.